VEDANTA’S Hindustan Zinc Ltd, which is one of the world’s largest integrated producers of zinc-lead, recently received high-fidelity training simulators from ThoroughTec Simulation. 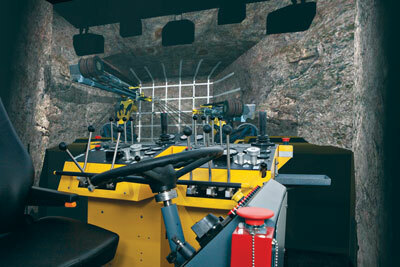 Their Rampura Agucha operation in Rajasthan, India, took delivery of three fourth-generation CYBERMINE simulators to assist in operator training as they move underground. ORICA, a global provider to the mining industry, places great emphasis on its annual graduate program to ensure the company stays ahead of the pack. The company is serious about investing in its future through graduate development and has a three year rotational program providing hands-on experience and maximum learning opportunities. WHILE the number of mine worker fatalities has been trending downward for the past 25 years the proportion of accidents involving mine machinery and mobile equipment continues to cause concern. Safety authorities have long voiced uneasiness about the interaction of workers and machinery and with the number of accidents classified as struck-by or caught-in.